Pizza Hut kicks off the new year with a 50 percent off deal on all regular-price pizzas ordered online through January 9, 2017. The offer is good on any orders placed on the chain's website or via the Pizza Hut mobile app for iOS and Android. 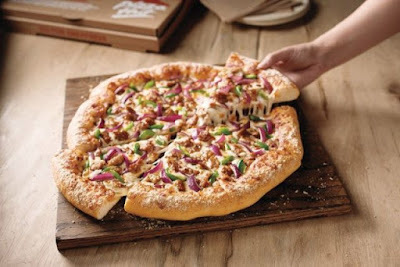 Stuffed Crust is $1 extra on a large pizza with the discount.